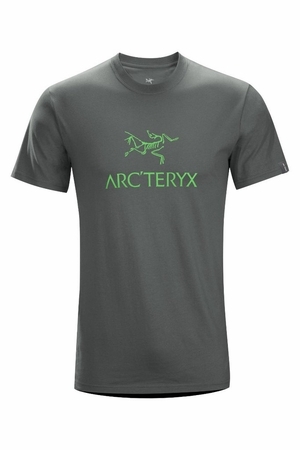 Cotton T-shirt with the classic combination Arc’teryx logo front and centre. Unique ink has a velvet finish. Crew neck cotton T-shirt for men. Features the classic combination Arc’teryx logo rendered in a unique ink that has a velvet finish. These trim fitting garments share motion-friendly traits with our Regular fit, but are patterned with lower volume for reduced bulk. Our trim fit is sized for a base layer and a trim synthetic or down filled mid-layer.